Alola, and welcome to the Team of the Episode for Episode 376 featuring the first UB-class we ever met, Nihilego! 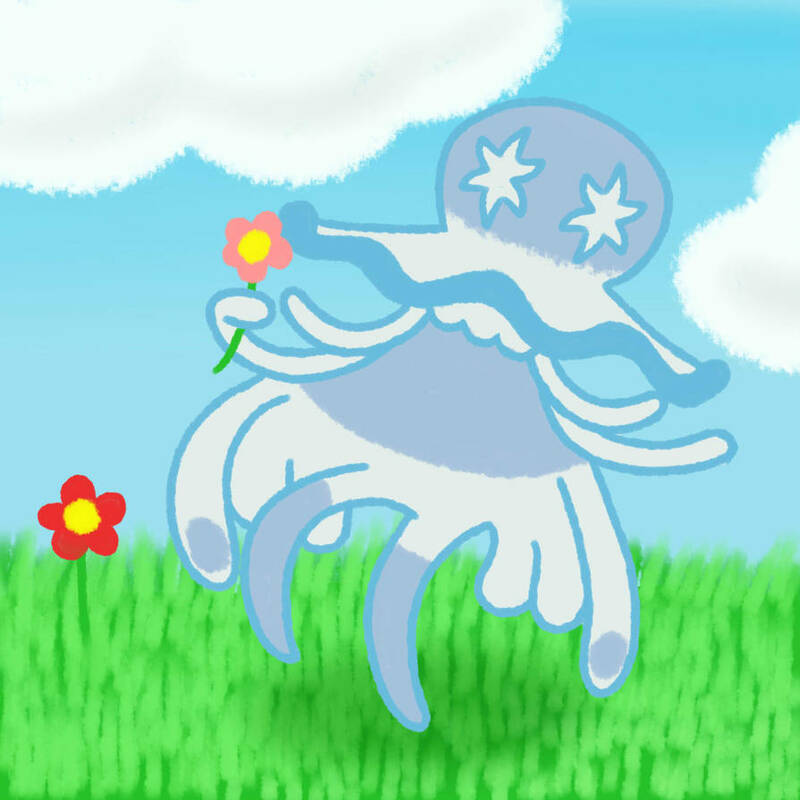 This week, we talked about what Generation 8 holds in store for the Ultra Beasts, so who better to cover in Pokemon of the Episode than the Glass Jellyfish itself! Nihilego is currently in the UU tier, so today’s team will be a UU team for those looking to learn that meta. Nihilego is a great balance of Special Attacker and Special Wall thanks to its incredible stats on that side, combined with awesome HP. It can easily be a revenge attacker, a hazard setter, or a potent all-out-attacker. In this week’s team, we’re taking a look at teammates that pair well with the hazard-setting version of Nihilego. Without further stalling, let’s dive in! Starting off, we have our case study Nihilego, running a set focused on getting out hazards! As we discussed in this week’s episode, you have a couple of options here between Toxic Spikes and Stealth Rock. You can run whichever you like, and if you pick Rocks over TSpikes it opens up the option to run Defog on Gligar. The other moves give Nihilego as much power as possible over things in the tier. Power Gem and Sludge Wave are incredibly powerful moves to spam depending on your opponent’s team, and they do a great job in fishing for a Beast Boost-fueled sweep late game. Thunderbolt is for good neutral coverage on Steel-types, as well as Waters like Empoleon, Slowbro, and Tentacruel. If Power Gem isn’t your flavor or if other Grounds are ruining your day, you can run Grass Knot in that slot instead. Black Sludge is great to let Nihilego recover after absorbing a Special Attack or two, and continue threatening or setting hazards. For our wallbreaker, we chose Swords Dance Bewear with Normalium Z to blast through absolutely anything not immune to Normal-type. You also act as a soft check to contact-based physical attackers thanks to Fluffy, which is fantastic to compliment Nihilego’s Special Defensive prowess. Acting as a soft check to Scizor is a great help to this team. It’s a fantastic breaker, and the typing compliments our defensive line quite well. With that, onto the defensive backbone! First off we have Doublade acting as a marvelous check to more physical attackers thanks to the absolutely massive Defense stat backed by Eviolite. You also have great resistances and a useable Special Defense stat thanks to said Eviolite combined with almost max HP. The moves are quite standard, with Shadow Claw and Gyro Ball being the main attacks, and Shadow Sneak for priority to clean up. It acts as an additional setup attacker, and an awesome check to Latias. Bewear is complimented well as they resist each other’s weaknesses very well outside of Fire- and Ground-types. Be sure to be careful with keeping Doublade’s HP high and away from Knock Off! Out second defense is Gligar, also running a standard but fantastic set. Earthquake is good STAB to get some chip damage in, and Roost lets it continue to wall many attacks. The EV spread lets you never be 2HKO’d by CB Terrakion, with all the rest plopped into Special Defense to better combat things like Hydreigon, Latias, and other special-based threats. Finally, U-turn keeps momentum on our side. The last slot is either Stealth Rock or Defog, depending on what hazard you pick with Nihilego. It’s a marvelous wall in UU, and a great compliment to Nihilego through typing and Defense stat. Our final choices are more “Offensive Support”. First off we have Choice Scarf Hydreigon serving as a revenge killer and a cleanup attacker once things are weakened sufficiently. The moves are all fairly standard, with STAB coverage, Fire Blast for Steel-types, and U-turn for momentum. Hydreigon can be a great lead to start the game off, and a great secondary Ground-move absorber for Nihilego and Doublade. A fun fact: together, Hydreigon and Doublade resist all 18 types, so take advantage of that synergy! You can also fire off Draco Meteors to weaken the opponent’s special walls so Nihilego can come in and start a sweep. Finally, Primarina is added in as another check to Dragon-types, and another Ice-type resist. We chose a physically defensive attacker with just enough Speed investment to outrun 8 Speed Choice Band Scizor to attempt a Scald burn before it U-turns out. Primarina is a decent check to non-CM Latias and Mamoswine, which are otherwise scary for this team, and has great synergy with Nihilego, Hyrdeigon, and Gligar. You can also make this into a RestTalk set, but you miss out on valuable coverage in Psychic and Grass Knot if you do. This team is very solid once you start to figure out things that can switch into the opponent’s threats at the right times. Mamoswine is a big threat that tears apart our defensive line, while also not able to be revenge-killed by Hydriegon thanks to Ice Shard. Even Bewear fears it because Earthquake is not a contact move. Additionally, Calm Mind Latias is a large threat once it gets set up, as Primarina can no longer 2HKO with Moonblast, and Hydreigon can’t reliably revenge kill it. Doublade attacking physically is your best bet here, as it’s able to 2HKO with Shadow Claw + Shadow Sneak. Finally, another huge threat discovered in playtesting is against Hazard stacking. Lots of the team likes to switch around, and even with 2 Spikes-Immune Pokemon on our side, Rocks alone really starts to take a toll. This is why the option to run Stealth Rock on Nihilego and Defog on Gliscor was suggested later on. All in all, this is a great way to show off Nihilego’s power and how it can both sweep and support the other members of the team. It has so many other good sets too, so you can really run it how you like to! So stop reading this and go try out the Glass Cannon! Don’t forget to challenge Thatch on stream if you think you have a better Nihilego set! Catch you on the flip-flop!